2017 was certainly a year worth recording. For all its ups and downs, I definitely outdid myself from previous years in both the quality of work and the success of my business. I'm pleased to say that, for the most part, I exceeded my expectations from the previous year, and more or less met my personal goals. Please enjoy this little report, and thank you so much for another amazing year. Specific shout outs are due — you will find those at the end. 39, including GQ France, Capital One, and Abrams Appleseed. Of total clients, 53% were taken on independently. The remainder came through either my UK or US agent. In 2016, I had 40 clients. 46 projects and over 120 illustrations. Whose Boat? — My first actual illustrated kids' book. Last year, I set the goal of finally pitching another book idea to some publishers. That idea was one I had been working toward with a friend since 2014. While I in truth have not moved an inch on that idea, I did realize my ultimate aim of illustrating a kid's book. I will write more about my reasons and feelings about the personal book idea below (see Biggest Disappointment below). However, it was clear to me that when Whose Boat? came to me, I had to take it. I had a lot of fun illustrating it, and just as importantly, I gained some very useful insight into the book illustration process, which had up until this year been debilitatingly shrouded in mystery. Additionally, this project really saw me turning to digital brushes a lot more, simply due to the quantity and complexity of each spread. For most of my time as an illustrator, I've been almost a staunch purist, using only physical media to create the textures and details in my otherwise digital artwork. While in some ways it felt like a compromise to use digital brushes, which I've had little true affection for, ultimately, I grew to appreciate and even embrace them. Truly, this project will be a watershed moment in my career, opening up new possibilities and opportunities — how can it not?! 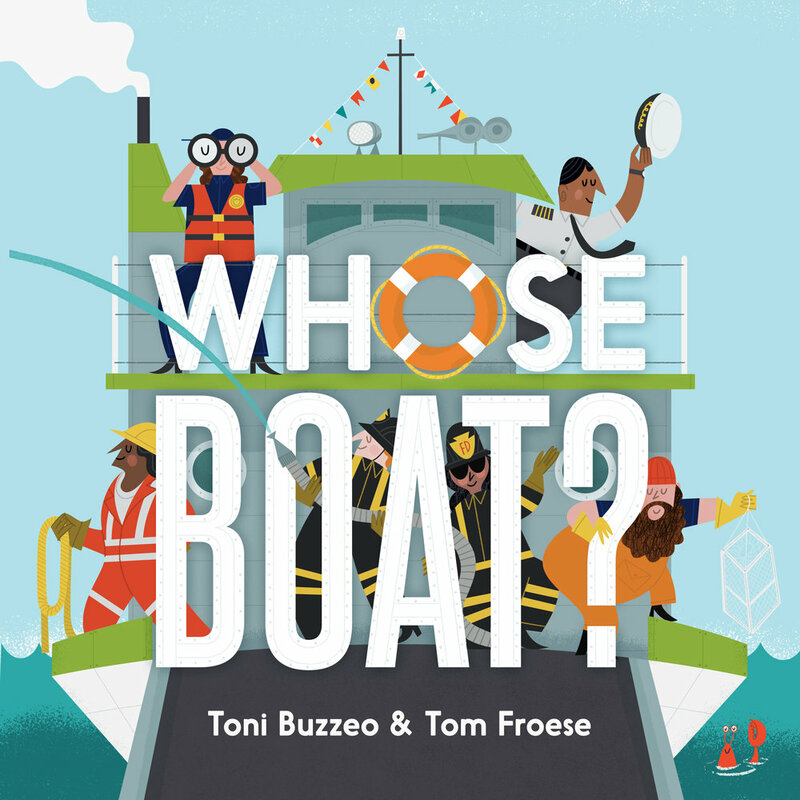 The book, authored by Toni Buzzeo, is set to launch in May. 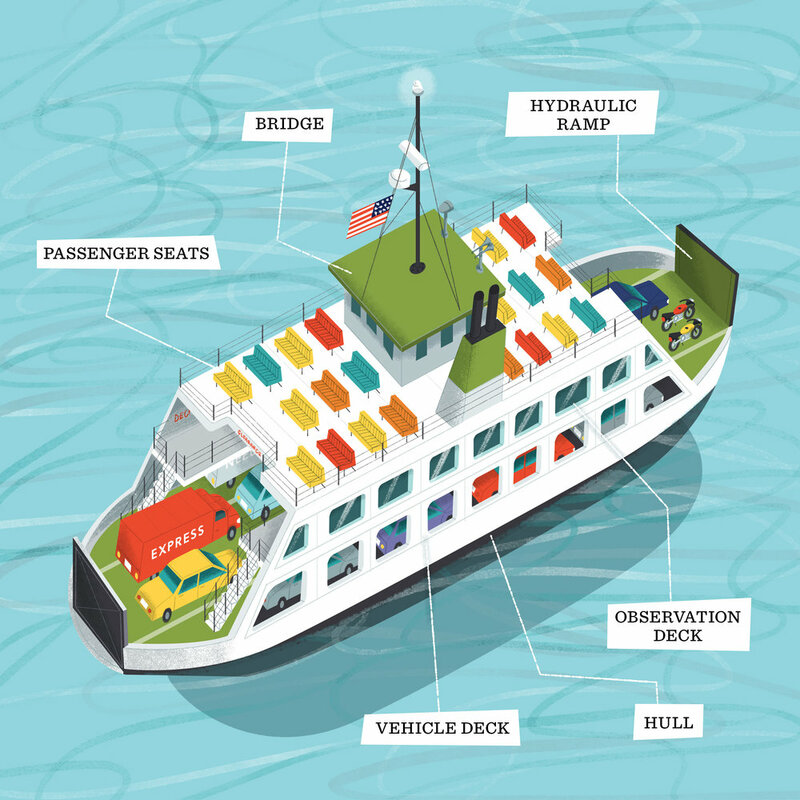 Illustration sample from Whose Boat? Field House Brewing Co. x Tom Froese beer and merch collaboration. There are a few illustration projects I covet: magazine covers, picture books, and beer labels. When my local craft brewing sensation buddies Field House offered to collaborate with me on a label and merch collection, I was all in! What I didn't realize was how illustrator-forward they wanted the final product to be. While I still feel a little funny about people drinking beer out of growlers and glasses with my name on it, I'm ultimately chuffed. It will likely be very few and far between that my name gets to be this prominently featured on the things I illustrate for. What I appreciate so much about the folks at Field House is how they so selflessly and truly collaborate with their artists and partners. I think they really represent the camaraderie that you might expect between brewers within the craft beer community, and they've extended this to artists like me. While it's doing wonders for my ego, I truly hope the fact that the word "Tom Froese, Illustrator" (key word Illustrator) both inspires other illustrators and elevates the industry in the minds of regular beer drinkers and beyond. Photo by Field House Brewing Co.
First kids' book. First actual beer label (I did a cider label in 2017). First podcast interview. A strange trip to California. A devastating job offer. My most ambitious Skillshare class to date. The kid's book was a pretty big bite to chew on, but they gave me lots of time. The project that really pushed me to the edge came later in the year and was for GQ France: 7 maps of skiing hot spots around the world, an opener, and four spots — in about 2 weeks! Did I mention everything was in French? Staving off burnout. Like most creatives, I've edged on burnout a few times over the last few years of my career. But I think I truly came closest to becoming a sad, charred version of myself in 2017. I think it was a few things, including an overall increase in the amount of work and an anxiety inducing year in the news. In terms of workload, I truly maxed myself out. It sounds a bit silly to put it this way, but I came close to being a victim of my own success. The blessing of course is that I have work coming to me. The harder part is managing both the jobs and myself as a human/husband/friend/professional. In terms of the overall political climate, I don't think I'm unique in feeling a mix of depression, anxiety, anger, despair, and whatever other things one might feel at the perceived eve of the apocalypse. It didn't help that I grew an unhealthy addiction to keeping up with the news via Twitter and YouTube. While I was pretty good about not shouting my own outrage and adding to the problem, I was privately glued to the set as it were, and it was really pulling my mood down. I didn't even realize it until one night when I was watching something that made me angry and I realized how I was giving these unrecoverable minutes and hours of my life to things like this. I immediately unfollowed every political account and deleted Twitter and YouTube off my phone. The effect was immediate. The next day, I felt a lightness I hadn't in a long time, and I got more done during normal studio hours. One of the most important realizations, though, was that I hadn't been actively pursuing inspiration, since all my attention was turned to the real-life soap opera. Since then, I've been far more intentional about looking at things that feed my creativity and lift me up, and it's been very good. Setting up a "bad portrait" booth at the big Lasers and Blazers party at Yeah Field Trip. I had a lot of fun and was reminded that I need to up my life drawing game, but also how much I like doing it. My actual goal was to put together a pitch for a book idea I've been mulling over since 2014. Instead of having to pull together a proposal and shop an idea around to different publishers, however, I had the a publisher come to me with a ready-to-go project. It was an easy decision, and the ultimate goal of illustrating a published picture book, which was embedded in the personal book endeavour, was realized. Again, my actual goal was to launch a Skillshare class about using colour. But after a few futile weeks of trying to write that class, I let that one go and polled my social media following on what they'd like to learn. Colour did come up, but so did an illustrated map class, and that really clicked with me. And I'm pleased to see that it clicked with students as well — so far over 1,000 students have joined up, and I'm hoping to triple this amount this year. And so far, I'm super impressed by the quality of work in the student projects. INKY MAPS: A selection from 22 student projects to-date. This goal was straight-up achieved! In 2015, Everlovin’ and I collaborated to produce the first issue. This year, launched our second issue in time for Canada's 150th birthday. Within this goal, I wanted to update the overall branding to make it stronger, as well as produce a set of prints, in collaboration with our artists, that were more iconic. The set so far has been well received, and we even got a feature in FPO (R.I.P. 2017) and in actual print in the Applied Arts 2017 Advertising Annual. Last year, I wrote that I hoped to do more speaking. While I did fewer than I thought (I did 3 in 2016 but only 1 in 2017), I added one podcast interview on The Meaning Movement, and one podcast mini-feature on The Creative Pep Talk podcast. It was a complete honour to be invited to both, and I hope to continue sharing my experiences with audiences and evolving my public speaking platform. If I can keep earning what I earned in 2018, that would be enough for me and my family. What I would really like to see is if I can be both more efficient and be more strategic in taking on higher paying projects. Working faster here is not really about being efficient or creating crappier work as a compromise. Rather, I'm hoping that I will spend less time deliberating on concepts early on and be able to harness that magical energy that comes out in the first sketches. It was this practice that I believe launched me on solid footing early on in my career, and it's time to take it back by storm. I don't plan on sharing everything I draw with my audience for now, but I trust that there will be visible fruits a few months down the road. No promises though. The reward will be in the discipline itself, and I know that it will help me draw more intuitively and less self-doubtingly (as per above) when on the job. I'm kind of cheating here, because I already know I'll be doing a bit of travelling this year. My wife and I often fantasize about travelling abroad with our kids. We really like the idea of having a micro life in a foreign city, such as Amsterdam or London, where we base ourselves in a rented home and live as locals, working sometimes and going on excursions at other times. To this end, we have decided to practice with our family by having a microlife for two weeks in a city we're both familiar with (and fond of) — Toronto. It's not exactly exotic, but it will help us see how we work as a family in a new context. It is less intimidating because we can focus on enjoying the change of scenery without worrying about getting lost or feeling lonely. This sounds a lot like my second goal, but in this one I mean more from a technical standpoint. I've always depended largely on a process of refinement, of sketches, copies of sketches, and then using digital wizardry to make my work look finished. I've always envied the style of the old guard of children's illustration, like the Provensens and Miroslav Sasek. The didn't use computers, even if they had a few reproduction tricks up their sleeves. Most of their work was done direct to the page, with real, live paint. It continues to be a dream of mine to work like this, at least in some contexts. My hope in 2018 is to continue practicing and experimenting in various techniques that a) look good, b) work with my style, and c) are viable alternatives for my actual commercial work. I have written in front of me "Work like a pro, strive like a student." I think this says everything. As an increasingly salty old seadog, I have experience and craft on my side. But I also have the propensity to grow tired and bored with my work. I don't want to be someone who just pumps out work to make money. I don't want to create work that just "works" but is not inspired. Rather, I want to create work that looks like the person who made it is on a journey of discovery. I want it to be joyful. To invoke curiosity. To inspire. And to have these feelings, I must have these feelings too. These are feelings of a student — someone who is constantly curious and eager to learn more and improve their craft. My artwork for Stong's won an Award of Excellence in Communication Arts and received Merit in the 3x3 Annual No. 14. Increased revenue by over 38%. I'm super excited to be teaching some of my skills live, in person, at my all time favourite illustration conference! I'll be announcing more about this in the next few months. As mentioned, I had been trying to pull together a book pitch based on a lovely poem my friend Lance wrote. I had a spark of inspiration for this back in 2014, which was a time I was very eager to cut my illustration teeth. Since then, the realities of being a husband, father, and full time commercial artist have taken priority over this rather ambitious goal. But All the way up to now, the biggest hurdle has been more conceptual. The poem itself evokes such amazing imagery, which is why I liked it in the first place, but knowing exactly how to translate the imagery into illustration has been my single largest hurdle. Some projects I can jump right into, just start and finish without too much hesitation. But I think this one has been on my mind for so long that I've overthought it, so I think that's primarily why I'm stuck. Lance and I had a heart to heart in the summer about this — this was when I was in the thick of illustrating Whose Boat?. Needless to say, it made a lot of sense to prioritize an actual book project over a speculative one. Moving forward, I will give this idea one last kick at the can. The good news is that I have so much more experience in the actual book illustration process — and a few more friends in the publishing industry as a result! If, by March 31, I have not moved forward with this, I will have to simply let this one go. If it doesn't happen by then, it won't ever. Okay, so I have one other disappointment contending for this space, and that's Summer Studio, the stationery line I created with Vincent Perez. We produced 8 beautiful greeting cards under a new brand, and we were so excited to launch it in mid-2016. We had a few retailers carry the cards but the overall reception was underwhelming — far less than we had hoped for. Late this year, I took a look at our dismal web analytics and took the site down. The products, which we still love, are still available at Everlovin’ Press, both online and in person on Everlovin’s craft fair circuit. The most valuable lesson I learned with this endeavour is about what makes a sellable card. We were trying to be sophisticated by not using words, and by creating ambiguous narrative groupings of objects. But this is a hard sell when people just want to say, quite literally, Thank You, Happy Birthday, and I Love You. In any greeting card designs moving forward, I will be more mindful about creating a simple, obvious message that is more readily identifiable — while still aiming for a higher level of craft and thoughtfulness in the design. Feeling of confidence and consistency in my work. Being more intuitive with my drawings. Increased spontaneity. Better gestures and figures. Will continue to march forward in this direction. Appreciating every single job I take on (and don't take on). Prioritizing activities in the studio. Being more regular with keeping my books up to date. Actively seeking inspiration. Okay, it's time to give credit where credit is due! First and foremost, I must give thanks to my wife and kids! Amanda, you have been my anchor through the good and bad times, encouraging me when I'm down and rooting me on when I'm up. You are the one I turn to when I need a critic's eye, or just someone to say "good job" when I'm excited about something. You are the most supportive, loving, and patient person, and I am so thankful — and extremely blessed — to have you in my life. Nina and Marie, I'm so proud of you girls. You are growing to be such wonderful, sweet, talented, and very interesting people. It means so much to me when you look at what I'm drawing, and I learn a lot from how you interact with it. It means even more to me to see you guys making your own creations. Your drawings are getting more and more creative and skilled every day, and drawing with you is my favourite way of spending time together. I love you girls, and I thank you for your inspiration, and also your patience as I try to balance my work and family priorities. Next, of course, thanks is du to my clients, who entrust me to their businesses and brands. You let me into your world and invite me to represent you through my art. It is an incredible honour to have my name and my art on your stuff, and to have your name on my roster of esteemed clients. Special thanks is due to my agents. I'm looking at you — Tim Higgs and the team at MP-Arts (UK) and Tom Mendola and the team at Mendola Artists (USA)! Thanks as always for your hard work in promoting me to your clients and for being boots on the ground where I cannot be. Thank you for including me on your esteemed rosters and allowing me to represent you with my art. Vincent Perez! As always, it's so good to collaborate with you on letterpress projects. 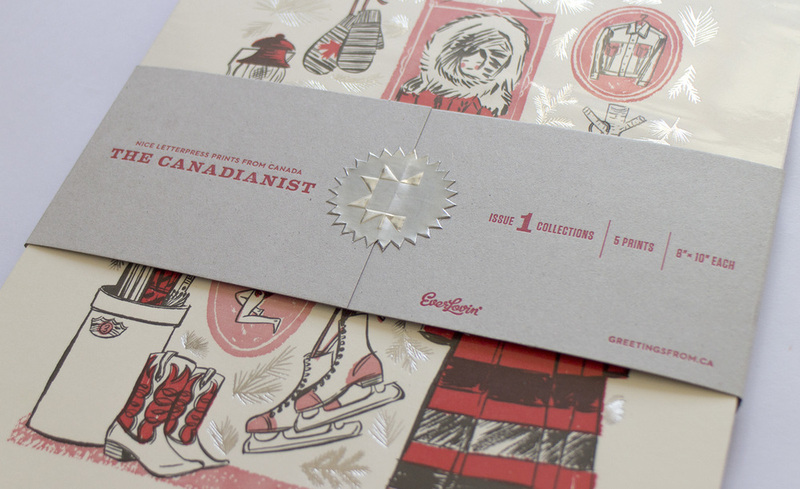 Letterpress has always been one of my favourite things about illustration and continues to influence my work. It is a core part of who I am as an illustrator. I'm super lucky to be able to work on the projects we do together. And, finally, I would like to thank viewers like you! One of the main reasons I love illustration is the connection to an audience. I've always been a sharer, and it means a lot to me to have people on the receiving end of the things I put out there. I know there are a lot of options out there, and it is an honour to be among those you choose to watch. Thank you for coming up to talk at live events. Thank you for reaching out over email. Thank you for sharing my work. For taking my Skillshare classes. Thank you for your likes, comments, and for simply sticking around.